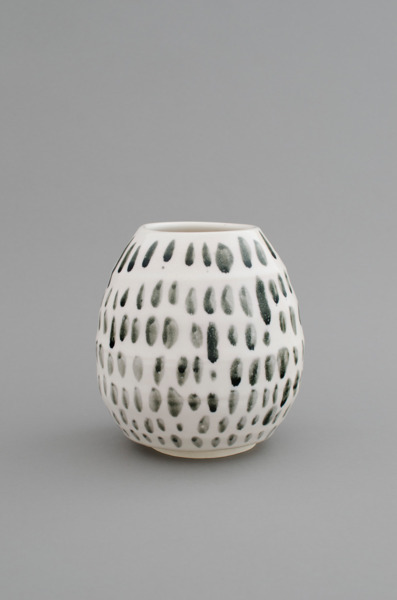 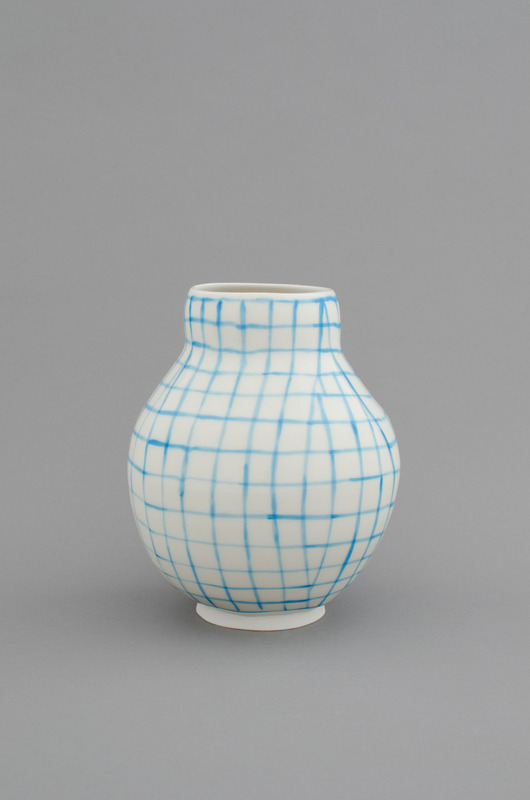 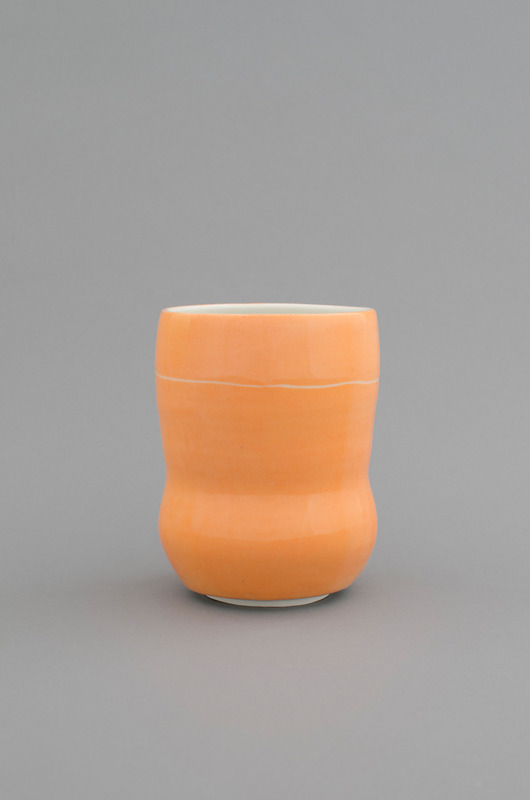 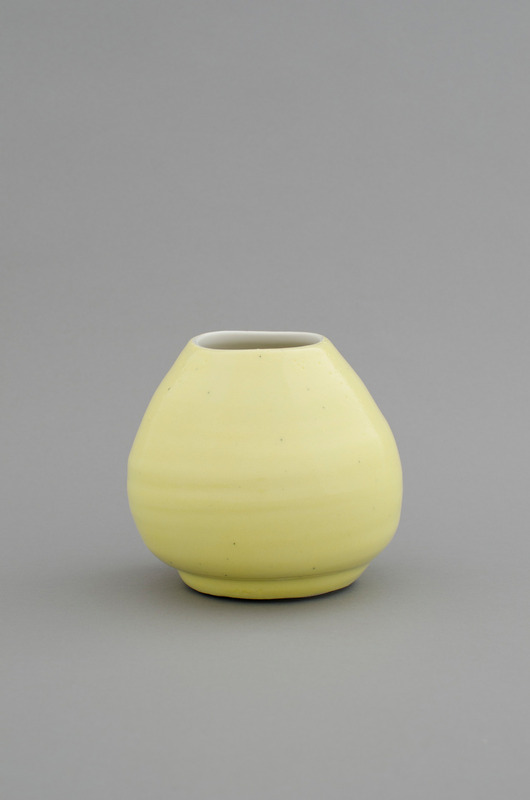 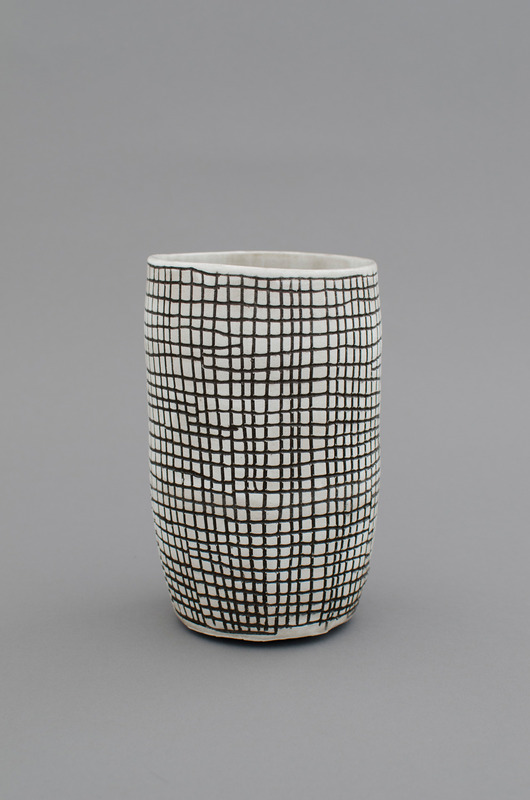 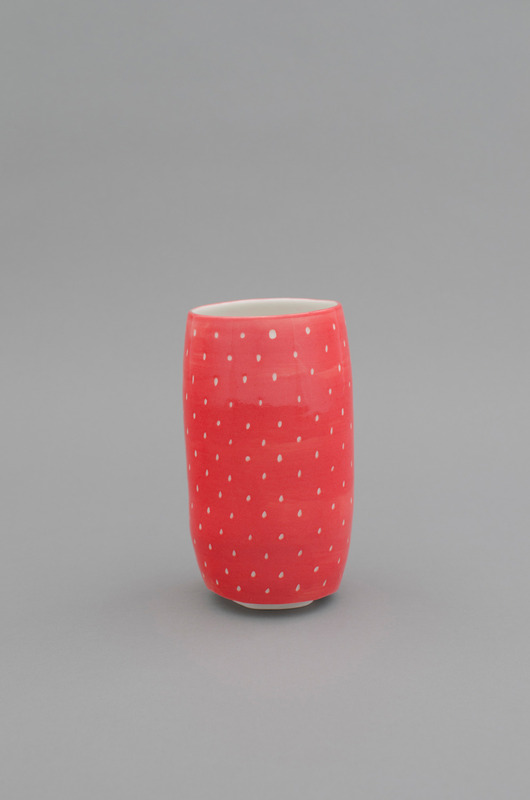 Shio Kusaka is a Japanese ceramics artist well known for her beautifully asymmetrical pots. 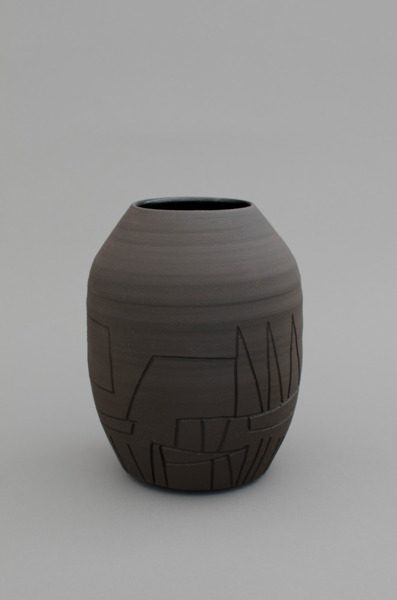 She has developed a distinct formal language through her use of shapes, patterns, colours and glazing techniques. 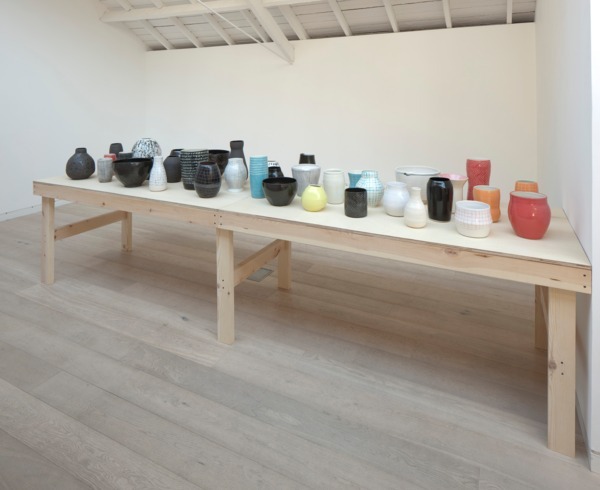 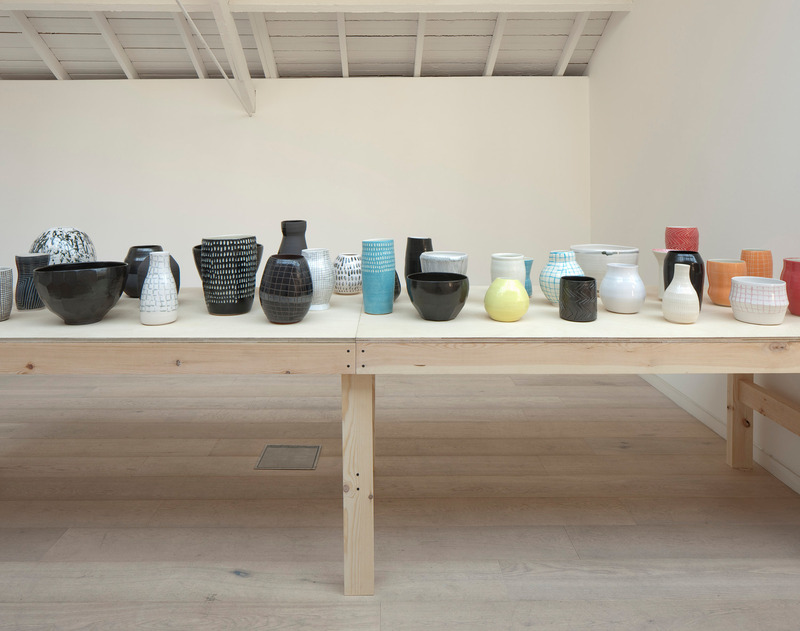 Led by an intrigue into the making of pottery, Kusaka balances the question of functionality – as dictated by the medium of ceramics – against her own vocabulary of design. Her vessels are irregular with a slight unevenness, the result of an attempt to create a precise symmetry. She builds delicate structures of imperfection, with well-centered weight and sense of gravity. 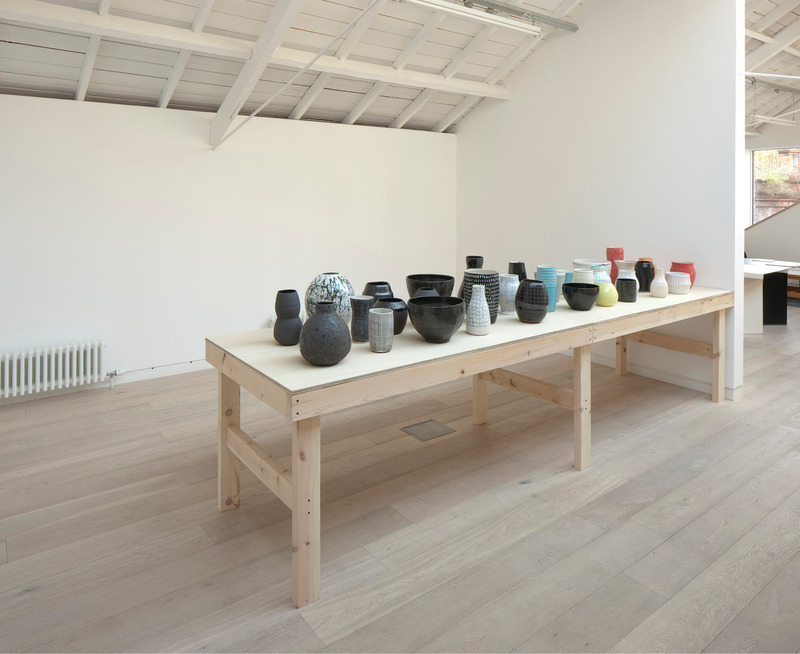 Within the gallery space Kusaka arranges her pots in clusters along the uncoated tabletop, creating a fluid accumulation of contours and volumes. Her creations allude to 18th century Egyptian Dynasty, late Bronze Age Cyprus, and the Yayoi period in Japan. 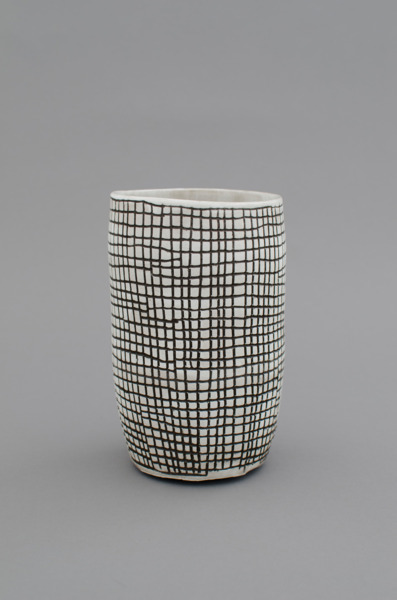 Remaining closer to modernist and contemporary aesthetics her pots venture far beyond these ancestors and traditions.